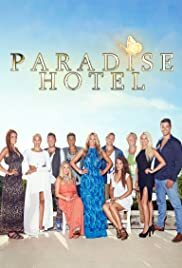 Danish version of the reality series "Paradise Hotel". Norwegian version of the reality series "Paradise Hotel". Follows a group of single people live in a luxurious hotel resort, competing to see who can stay in the hotel the longest. It follows a group of singles who are given the opportunity to check in to an exclusive tropical resort and check out with big money. Swedish version of the reality series "Paradise Hotel", an American reality television program that aired on Fox in 2003. In the show, a group of single people live in a luxurious hotel resort, competing to see who can stay in the hotel the longest. Periodically, someone is removed from the show, and others are brought in to replace them. Each week couples pair off and must share a hotel room together. The person that doesn't find a partner has to leave. That person is then replaced the following episode.